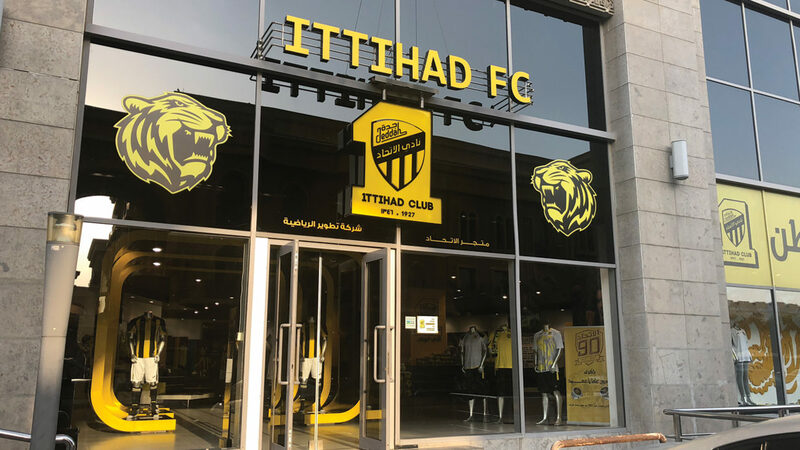 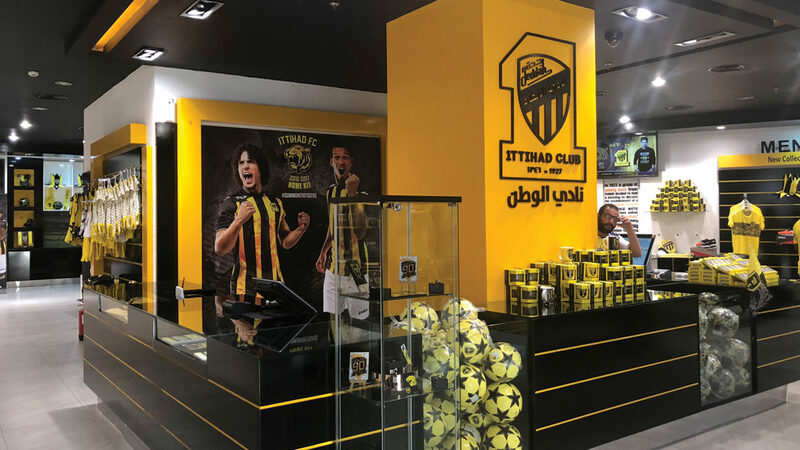 Ittihad football clubs flagship store in Jeddah. 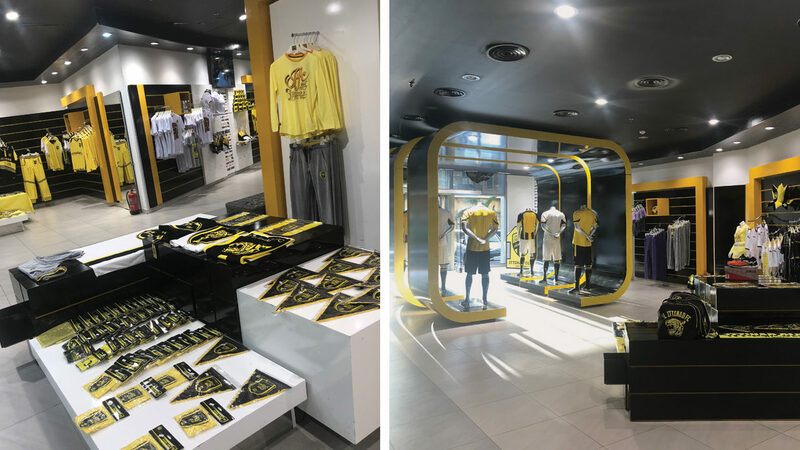 Strong brand elements encompassing the logo and colour ways. 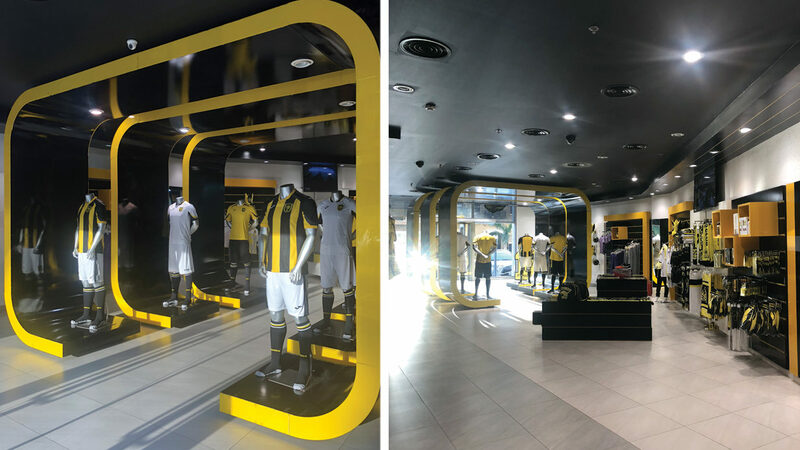 A striking entrance walkway was designed to bring clients into the store.